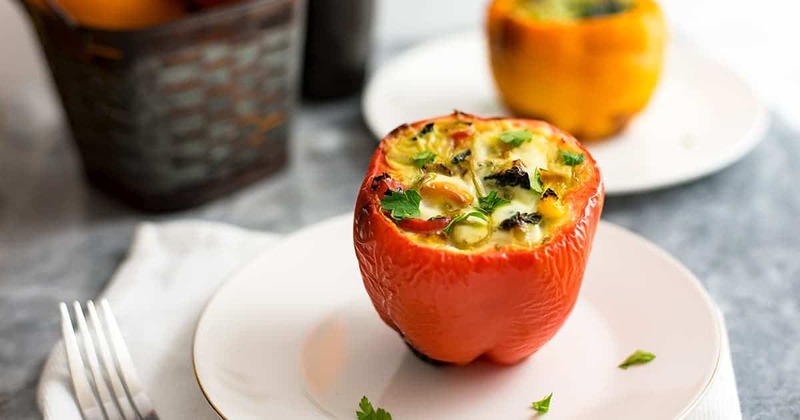 These easy egg stuffed peppers are the perfect breakfast for busy mornings! You can make a big batch on the weekend and enjoy them throughout the week! 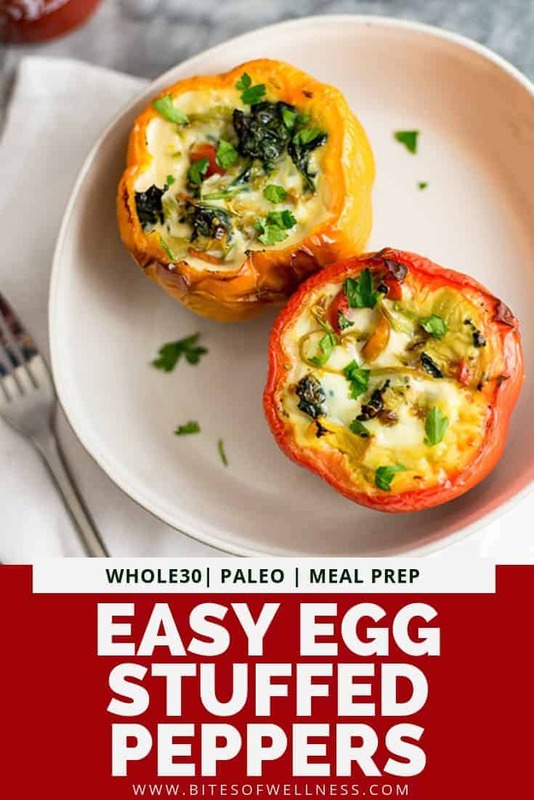 These egg stuffed peppers are paleo, Whole30, low carb and super simple to make! 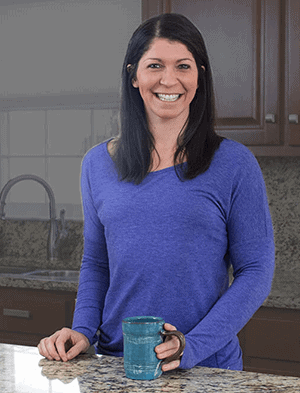 I actually practice intermittent fasting, and my first meal of the day is usually around 1pm. But I do enjoy breaking my fast with breakfast foods, and I am always looking for something quick, simple and healthy. I tried making those eggs cracked in a pepper mold, and the eggs went everywhere in the pan. But it gave me an idea! 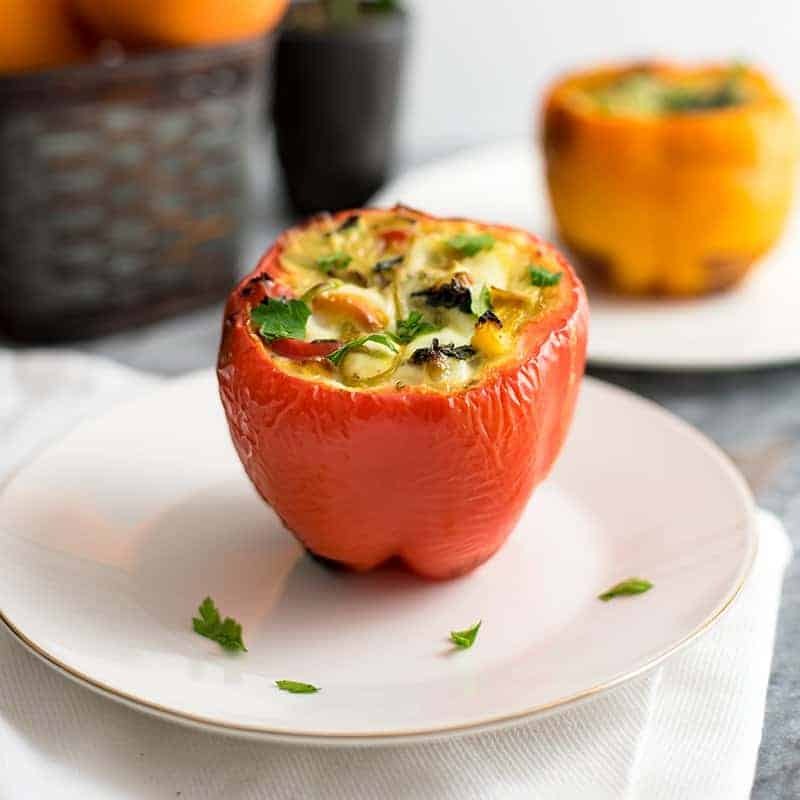 A frittata baked inside the entire pepper! These easy egg stuffed peppers have added veggies to make them more satisfying and a little more filling. 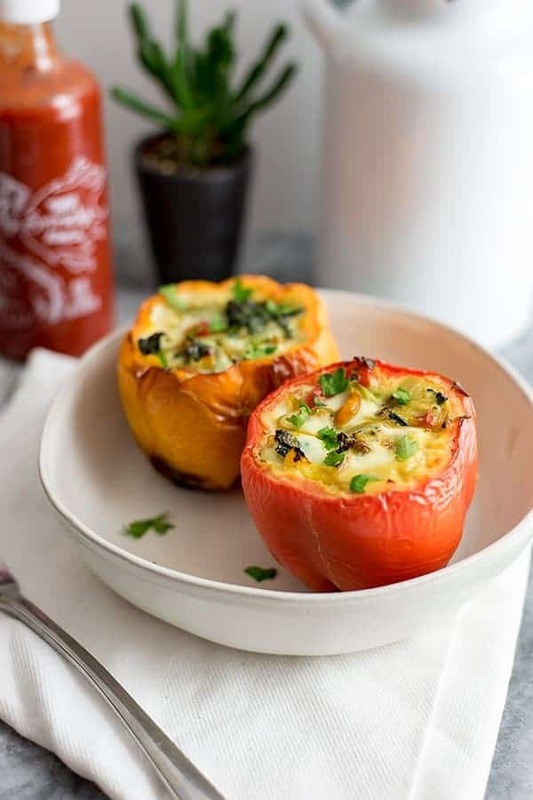 The added veggies are also a great way to increase the nutritional content of these egg stuffed peppers! 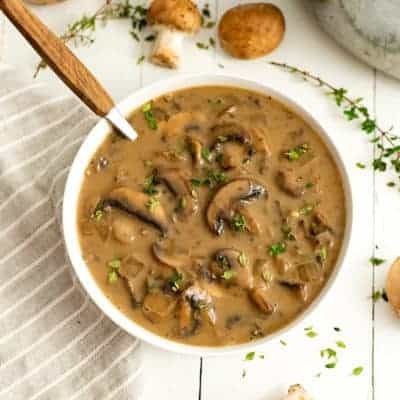 Some of my favorites veggies for this include: spinach, kale, tomatoes, carrots, zucchini, asparagus, and even cooked sausage, bacon or smoked salmon (if you are into that kind of thing). I highly recommend that you cook your added veggies for a few minutes before adding them to the peppers. Leafy vegetables, or any veggies that give off water like zucchini or summer squash, tend to sweat water during the cooking process, which could make the eggs runny. And veggies like asparagus, brussels sprouts, broccoli, or cauliflower need a few minutes to soften before adding them to the peppers. This step only adds a few minutes to the process but will make the end product taste much better! 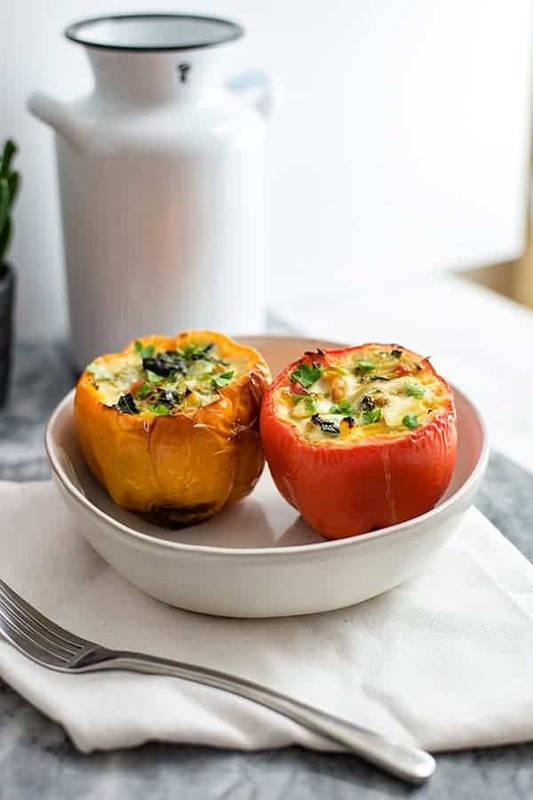 If you want to change the flavor of these easy egg stuffed peppers, you could mix in pesto, sundried tomatoes, chimichurri sauce, or homemade salsa, or whatever your favorite herbs and spices are depending on what you are in the mood for! Cut the top off the peppers by laying the peppers on their sides, and slicing the top so that you have one even cut removing the stem and the top of the pepper. You may need to use your hands or the knife to remove the white ribs inside the peppers. Place the peppers in the holes of a large muffin tin (affiliate link), or in a bread pan all together, so they can easily stay upright. Quickly saute any of the vegetables you want to add to the egg stuffed peppers. I highly recommend cutting away any of the extra pepper from the top you removed and adding this as well. After vegetables are done sauteing, divide them equally between the peppers. Crack the eggs and egg whites in a large bowl, add whatever spices you want, and mix this together with a fork. Divide the egg mixture between the peppers, covering the vegetables. Bake in the oven for 30 minutes, or until the tops are firm to the touch. 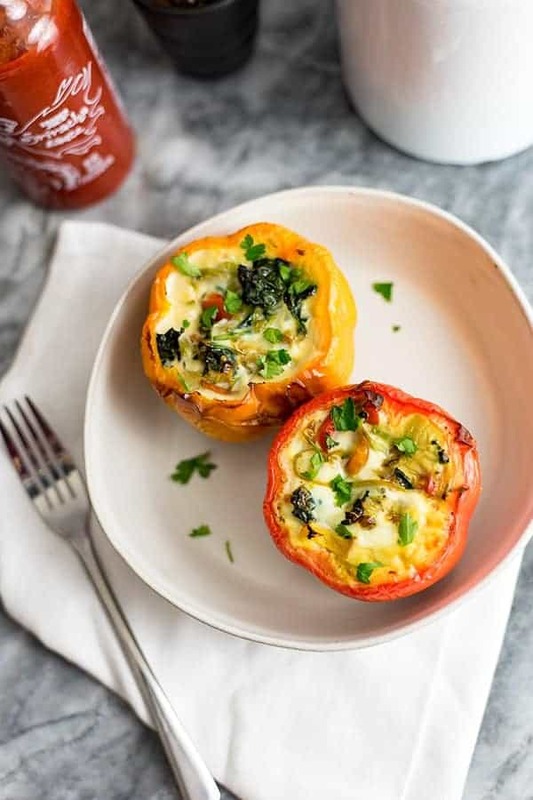 These easy egg stuffed peppers are perfect for breakfast on a busy morning! These egg stuffed peppers can be made ahead of time and reheat easily! 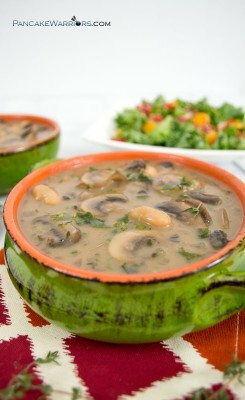 Paleo, whole30, grain free, vegetarian and very easy to make! Cut off the tops of the bell peppers, so that they are easy to fill, moving the seeds and any white ribs inside the peppers. See post for details. Divide the veggies between the peppers. In a medium mixing bowl, combine the eggs, egg whites, thyme and garlic powder. Divide the egg mixture between the peppers, being careful not to overfill. Bake in the oven at 400F for 30 minutes until the tops are firm to the touch. This has become a staple in my weekly meal prep. I like to add sausage and bacon too!